Please fill out the form and we wil get back to you. How can I promote my event or festival? You can advertise your event or festival for free using the Events Submission Form. How can I advertise my businesses, club or organisation? You can add your free listing to advertise your businesses, club or organisation using the Directory Submission Form. How can I advertise my accommodation? You can have a fully featured accommodation listing which includes multiple photos, facilities and availability calendar using the Accommodation Submission Form. If you prefer the free basic listing with one image and short description you can use the Directory Submission Form. How can I book a beach hut? 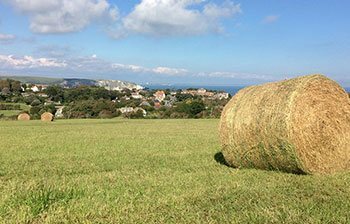 At Virtual Swanage we do not stock tourism leaflets or have information regarding booking beach huts. Swanage Information Centre on Shore Road has brochures on attractions, activities, walks, history trails and offers a postal service on some publications. You can book a beach hut online. Please do not contact Swanage Information Centre for enquiries regarding the Virtual Swanage website as they are not responsible for the Virtual Swanage website, please use the enquiry form to contact us directly for any website questions or comments. How can I send something in the post to you?